Last weekend I spent some time walking around Tucker, Georgia. Although my family is from Savannah, we lived in Tucker most of my childhood, and I consider it my hometown. 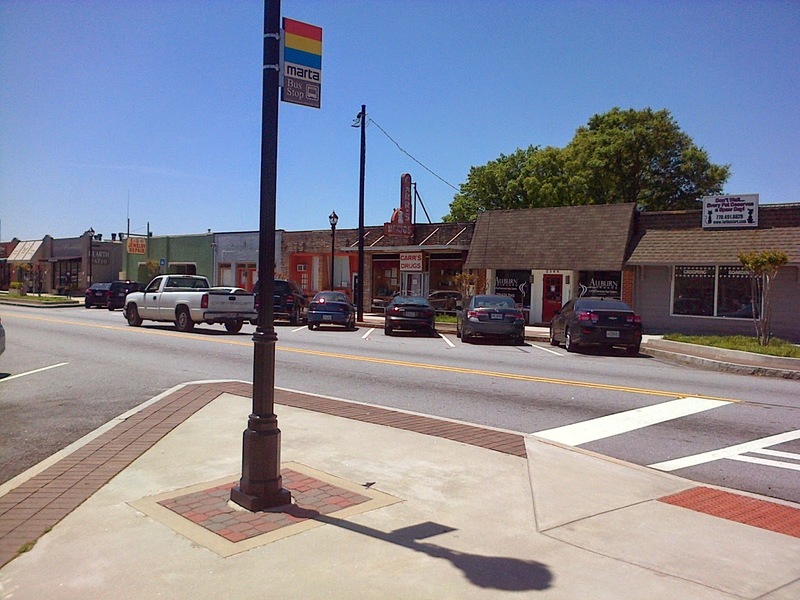 Tucker is a small town on the outskirts of Atlanta. It has always reminded me of Mayberry from The Andy Griffith Show (one of my all-time favorites). I'll take you on a little tour here. 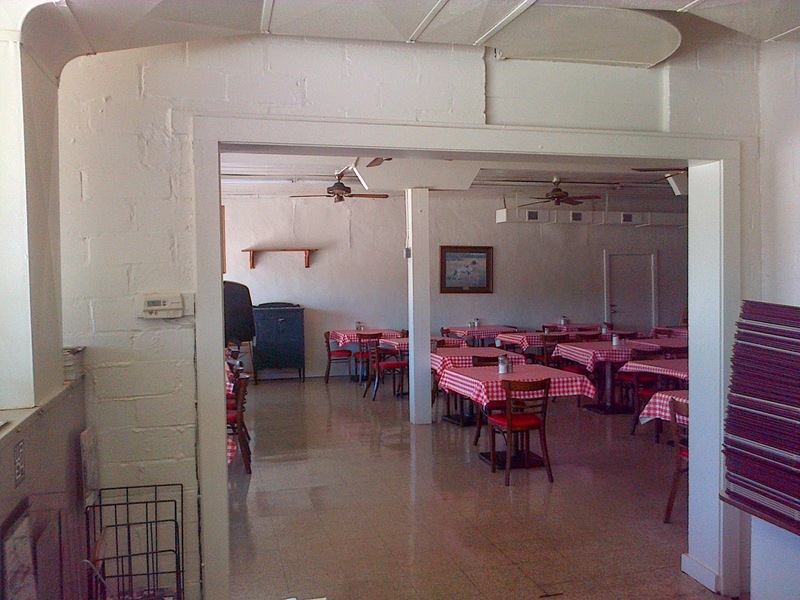 Matthews Cafeteria is an old fashioned "Meat and Three" Southern restaurant. When I was little I always preferred the veggie plate (4 veggies with cornbread or a biscuit). 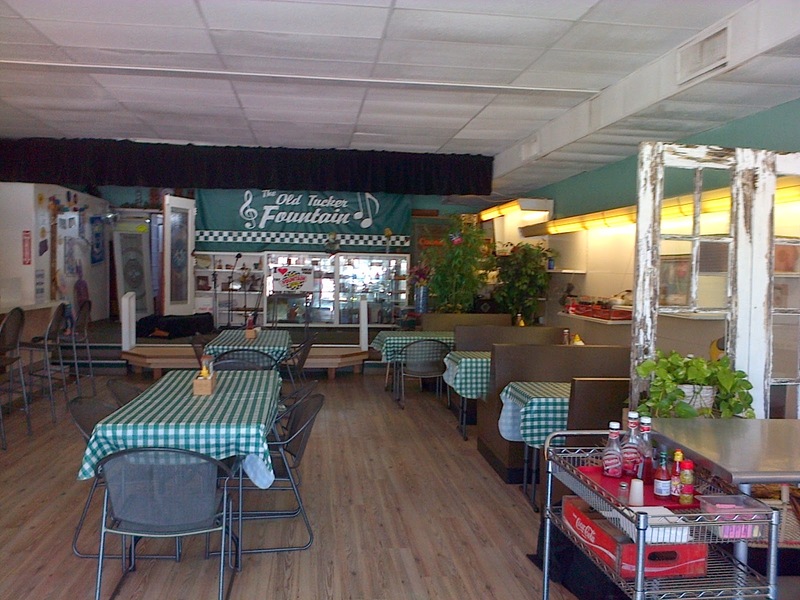 I haven't eaten there in years; I'm not sure if the veggies are vegetarian friendly (cooked without meat). 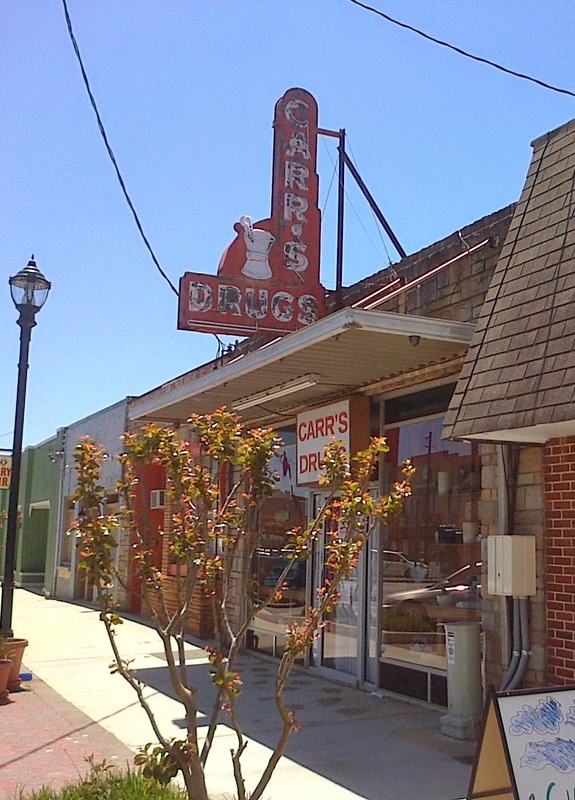 Across the street, there is Cofer Brothers hardware. They sponsored me when I was a contestant in Miss Georgia National Teenager. 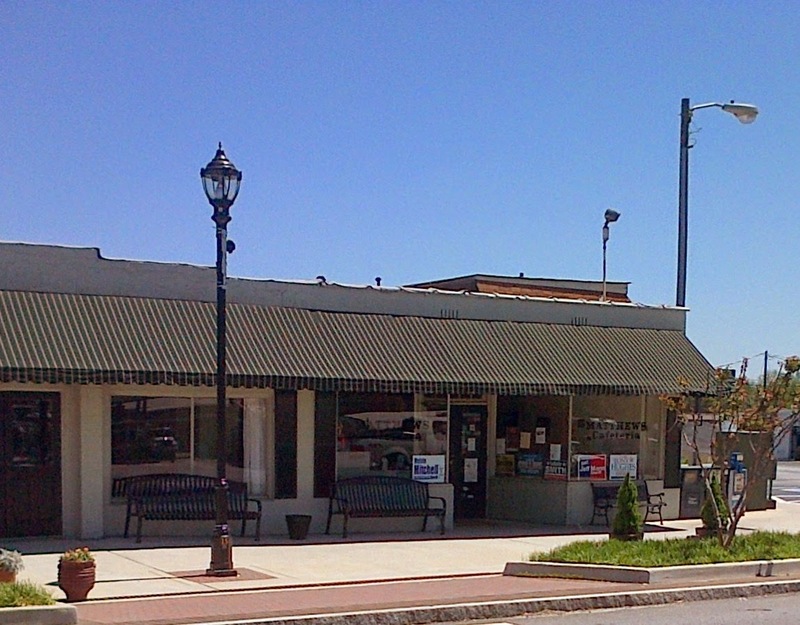 Here is another view of Main Street, with Tucker High School at the end of the road. 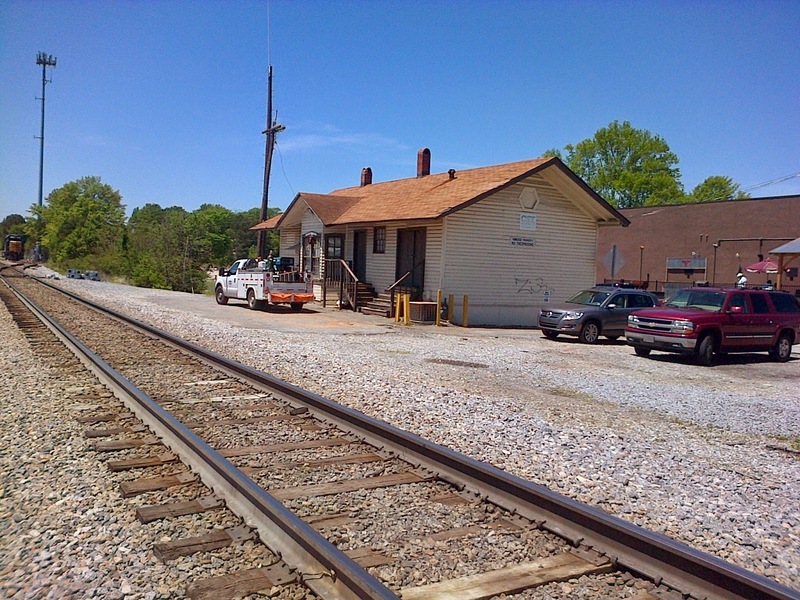 There is an old fashioned train train depot by the railroad tracks. It is still in use. 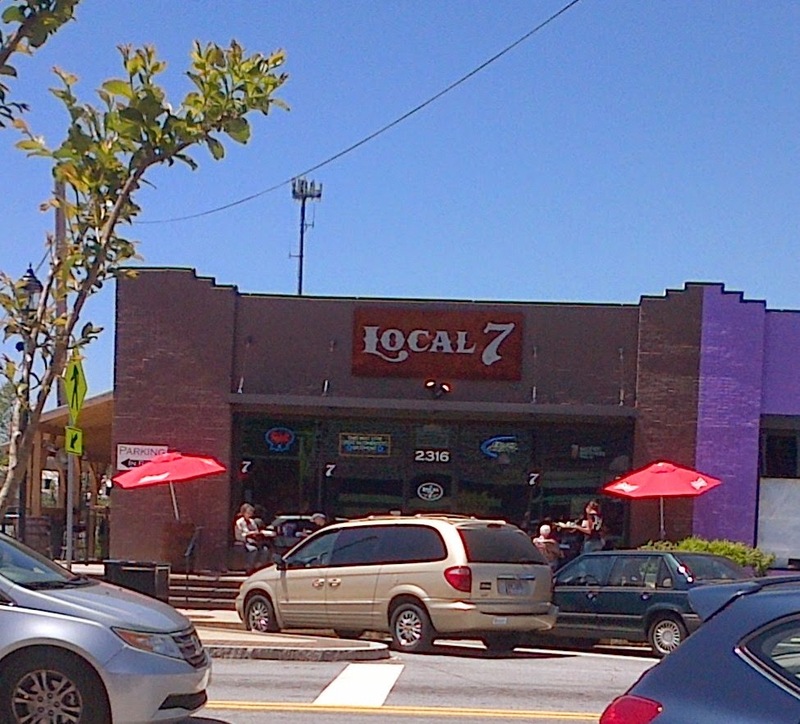 Local 7 is a little pub that is very casual and comfortable. They have some delicious vegetarian and vegan options! 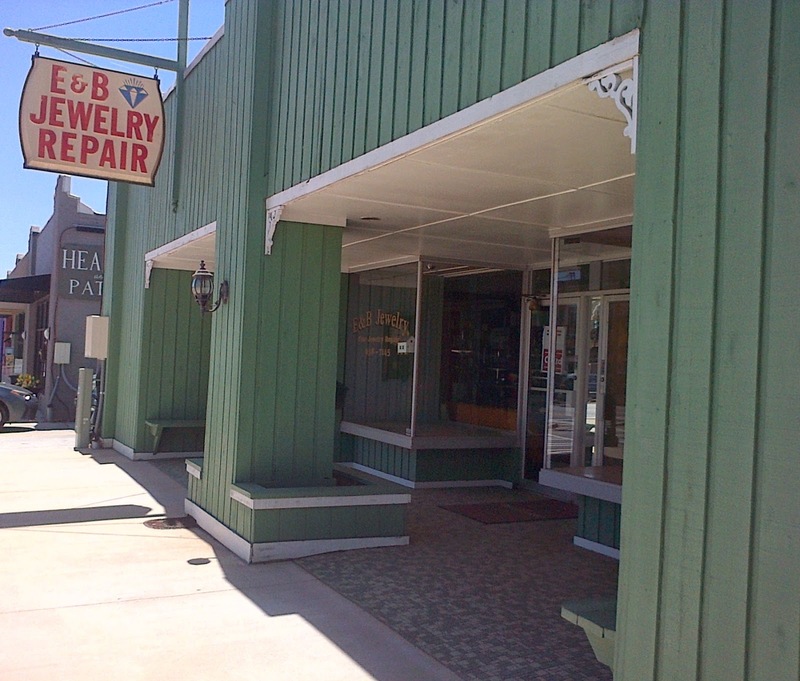 E&B Jewelry Repair has been around from my childhood. It looks exactly the same. 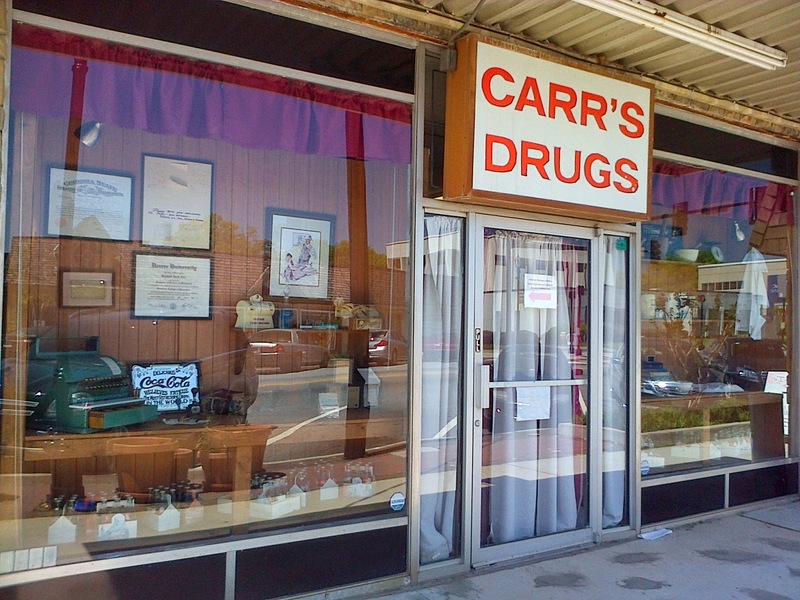 Carr's Drugs is an old fashioned compounding pharmacy. A couple of blocks away you'll find the old Tucker Library. They've moved to a new location, and the library I grew up with is now owned by a local church. I love the Mid-Century Modern design of the old library. This is where I fell in love with reading, and first read the Betsy-Tacy books by Maud Hart Lovelace. It makes me happy just to see this photo. Thanks for joining me on a little mini-tour of Tucker. Have you ever been there? 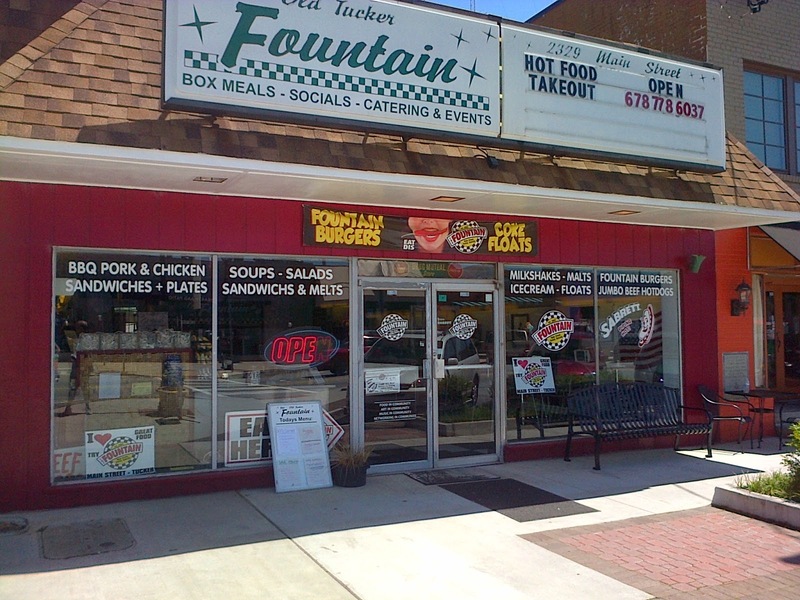 I would love to hear your Tucker memories in the comments section, below. Trish, I loved the tour. What a great place to grow up. 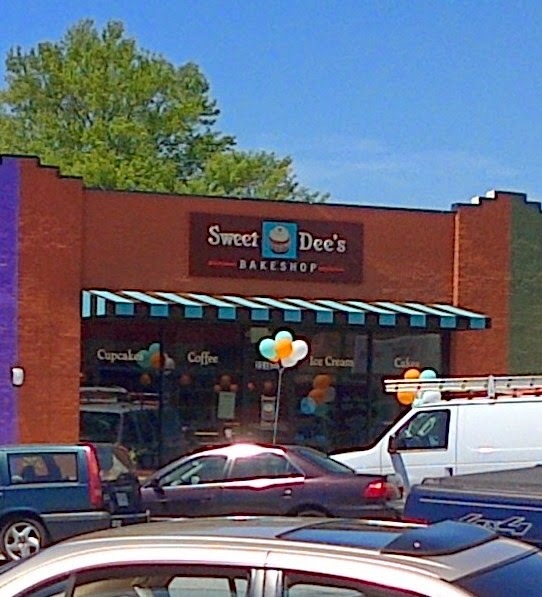 I could smell the cookies and cupcakes in the bakery. Yum! What a beautiful town! I'm so glad to see that it appears to be thriving. There's nothing happier than reviving those good, growing-up memories. Thanks for sharing yours! Great post! I do miss Tucker. 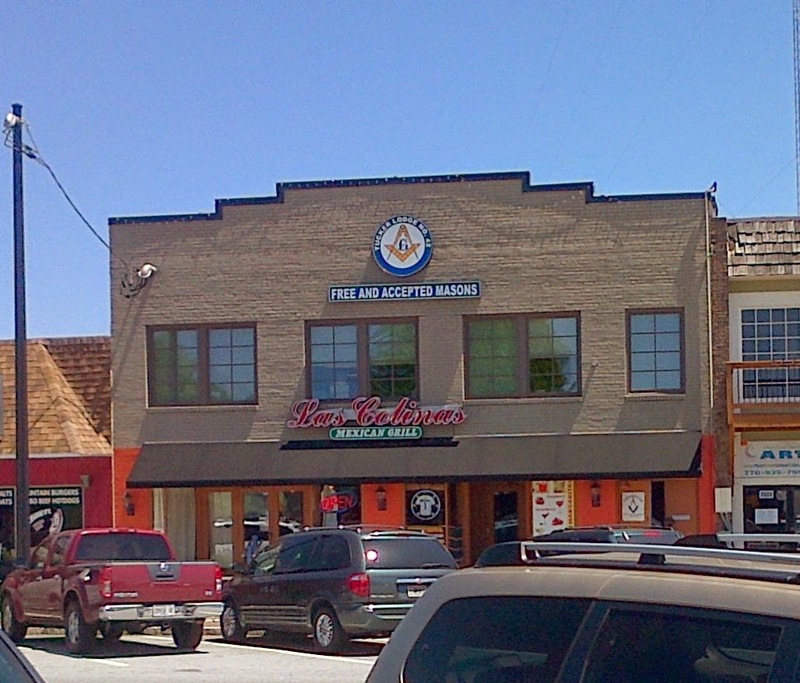 Main Street is really experiencing a rebirth of sorts. Farmers Market held there every Thursday and great events where they block off the street. 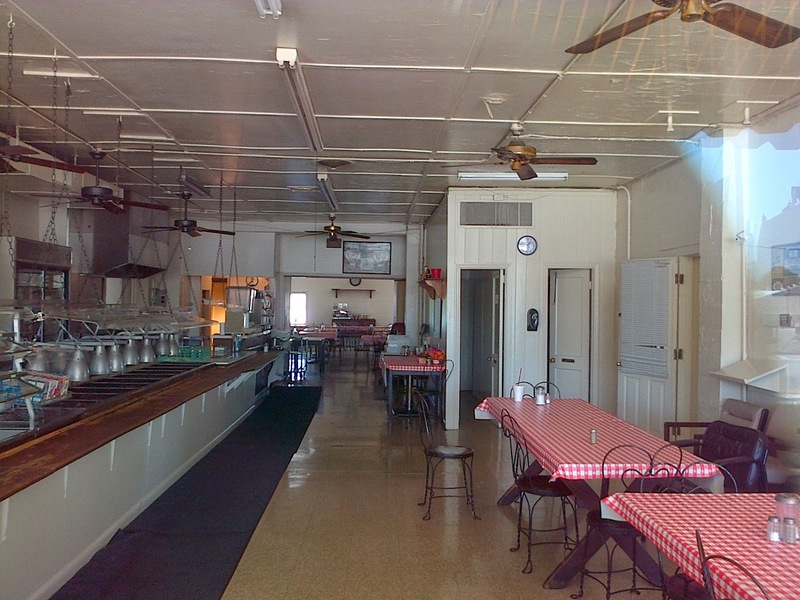 Recently a chili cookoff and on 5/10, Tucker Days. There are classic car cruise ins and a real sense of communit beuildng. Even Roly Poly is joining main street very soon. I moved back just a few years ago. Class of 77 THS. A lot has changed, but things are getting better each year. Mary, thanks! 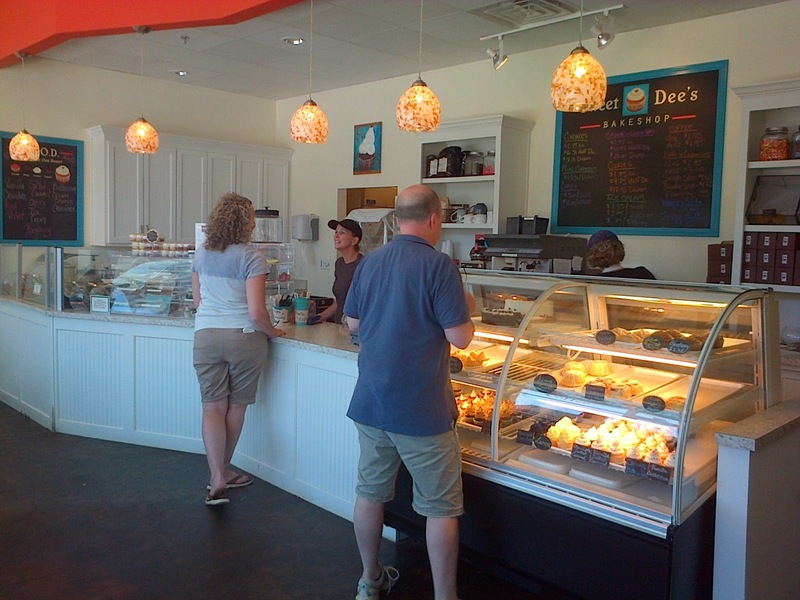 It is a nice old fashioned bakery; you would love it! Susan, thanks! Yes, the town has been lovingly maintained and it is still thriving. Bob, thanks! Do you remember the fruit slushies at Sonic in Tucker? Greg, that is neat about the Farmers Market. I haven't been to that yet. How neat about Roly Poly too. Is it going to be in the storefront next to Local 7?